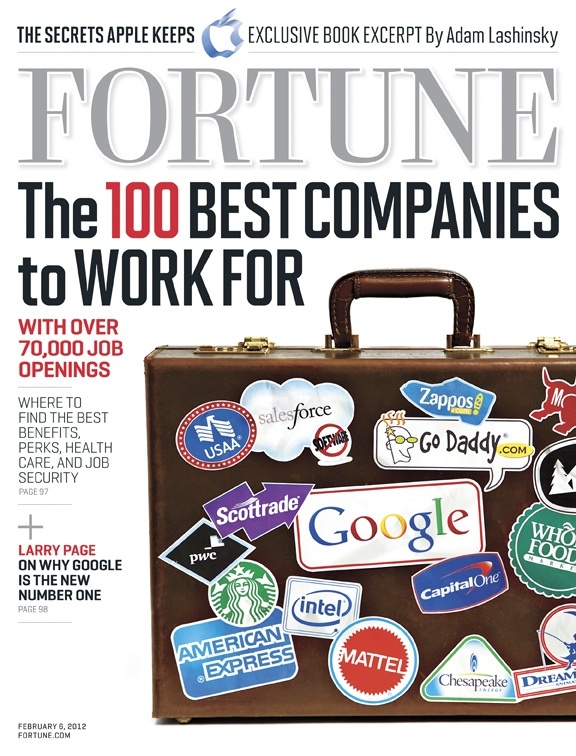 SkyPlanner Partners just found out that Salesforce took the number 19 spot on FORTUNE Magazine's 100 Best Companies to Work For list. Salesforce joins the likes of Google, Qualcomm, DreamWorks Animation, The Container Store, Cisco and other top companies who are known for serving their communities and for their dedication to their customers as well as partners. Last year alone, Salesforce went from #52 to #27. This year is the first time that the CRM giant is int he top 20. SkyPlanner also believes in creating a great employee culture in our Doral offices. All SkyPlanner Partners know there's an open-door policy and everyone is encouraged to take initiative and propose client solutions no matter their position in our Salesforce consulting company. Not only are we partners with each other, SkyPlanner is also a partner with Salesforce. We partner with the CRM giant so we can customize apps for our clients and keep up to date on everything that's new within the Salesforce platform. We even collaborate and market some of our solutions on AppExchange where many Salesforce partners exchange ideas. So why is Salesforce number 19 on the Best Company To Work For list? Employees say the cloud computing leader treats them like family. They say Salesforce invests an unparalleled amount of resources on developing its workforce and do a grat job with team building. Employees feel a great self-worth and are continuously motivated. This year 259 firms participated in the employee survey with more than 277,000 employees responding. Way to go Salesforce! SkyPlanner is proud to be your partner!